There’s a once oft-used World War II era expression about not knowing “sh*t from Shinola,” which referred to a person too clueless to distinguish between excrement and the brownish-black shoe polish manufactured in Rochester, New York from 1907 to 1960. Now, when Shinola comes up in conversation, it’s most often in the context of a newer company of the same name. This new Shinola has capitalized on the slightly faded mystique of the city of Detroit, once the poster child of urban blight, to build an American luxury brand that sells fine hand-assembled watches, bicycles, and hand-crafted leather goods. Oh, and they sell Shinola shoe polish too, in a retro tin reminiscent of the original but much more chic, and yes, a tad pricier. It seems that the same item may be perceived as being worth double if it is manufactured in the USA rather than China, and triple the original price if it is made in Detroit. This may be indicative of a lingering nostalgia for when Detroit was ground zero for the golden era of US-made automobiles. Shinola aims to revive the ideals of all-American craft and quality by banking on the fact that, more and more, Americans want to feel good about their purchases. It’s a concept that many first bought into when Toms shoes, with their “buy one, donate one to a needy person” business model, came onto the scene. In Shinola’s case, feeling good comes via the idea that buying a Shinola product supports American craftspeople and contributes to revitalizing a city that had so dramatically fallen victim to the recession and to racial tension. It also addresses the fact that many consumers are tired of the endless cycle of purchasing disposable goods. Indeed, what sets Shinola’s goods apart is a combination of timeless aesthetic and utmost quality, which derives from the best materials and careful craftsmanship. But really, why Detroit? When Tom Kartsotis, formerly a chairman at Fossil Watches and, like most of the leaders at Shinola, not a Detroit native, became interested in bringing back American-made watches, he conducted ample research and ultimately chose Detroit as home base for the company, not only because of its history, but also because of its unique infrastructure. Detroit presents the not negligible incentive of enormous pre-existing manufacturing spaces, and access to a large local talent base. The brand is justifiably proud of its groundbreaking and intensive training program, overseen by Swiss watch movement manufacturing company Ronda AG, which teaches laborers who were possibly previously more used to building something such as a stove or a car, to assemble a tiny, complicated, luxury consumer product. One similarity with car manufacturing: components of Shinola watches are made abroad- in this case, Switzerland- and assembled in Detroit. Some naysayers have pointed out this issue: that Shinola’s products are not 100% made in Detroit. But Shinola does not pretend that this is the case. Most of the brand’s offerings are a collaborative effort, with design, materials, and labor being supplied by different highly-specialized teams in different locations, but always with quality in mind, and usually with at least one element of fabrication based in Detroit. 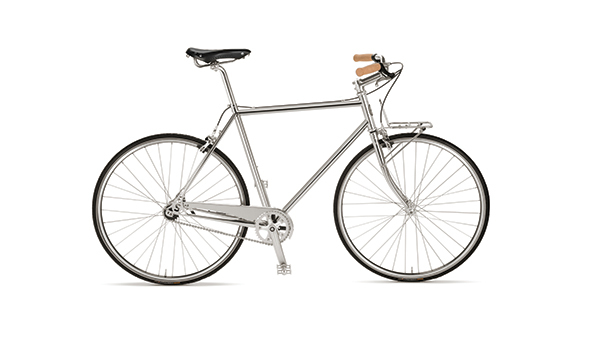 Shinola bicycles, for example, are individually assembled in Detroit from solid, classic yet edgy frames produced by a workshop in Wisconsin. The names of these models, such as Runwell, Detroit Arrow, or Bixby, project straightforward vintage optimism with a hipster edge. Some of the most interesting bikes are the limited editions, many of which are never offered for sale, but rather are proudly displayed either at a store, or on the website, as examples of playful ingenuity or as illustrations of the use of novel materials. One of the most covetable of these is a shiny, one-of-a-kind copper bike that uses the Shinola women’s Bixby frame. There were also brilliant nickel, brass, and glow-in-the-dark versions. Anyone lucky enough to own one of these museum-worthy models, or indeed any of Shinola’s elegant bicycles, which range from $1000 to $3000, and come in glossy retro shades such as mauve, teal, light orange, and dark green, would not want to mar their paint job with a pedestrian U-lock. 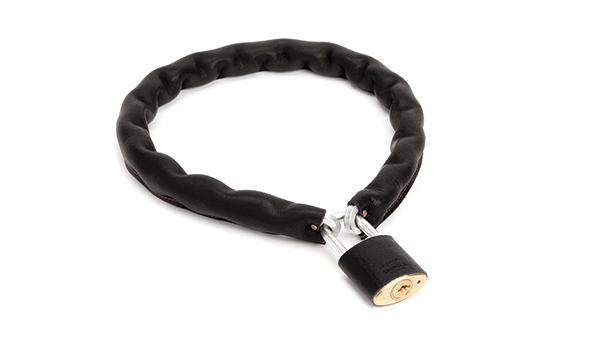 Fortunately, Shinola sells a luxe, leather-covered bike lock. It may sell for a whopping $285, but knowing that it is wrapped in the finest Horween Essex leather, from a family-owned tannery in Chicago, and painstakingly made by Carrboro, NC based Map of Days, lessens the sting. Other fine leather goods offered by Shinola are designed in Detroit by none other than handbag legends Richard Lambertson and John Truex, who once produced a well-regarded eponymous line in addition to their designing stint for Tiffany & Co., and now happen to be the new co-design directors of leather accessories at Shinola. And since this leather is meant to last a lifetime, one can also purchase from Shinola not only the aforementioned tins of shoe polish, but also similarly packaged mink oil and saddle soap, to help clean, protect, and maintain. 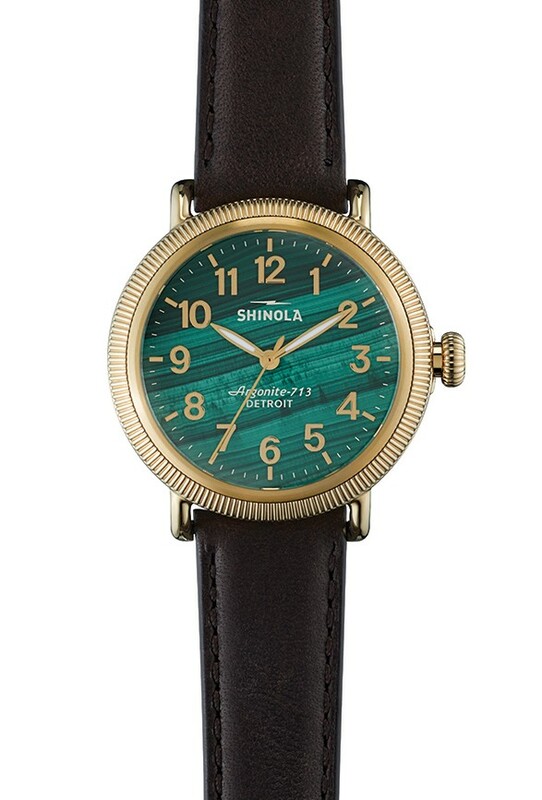 Often, Shinola’s seemingly high price point actually turns out to be a great deal. Take the watches: most of the straps are made by hand by Hadley-Roma in Largo, Florida, from Horween leather, and can be swapped out for a different look. The actual watch is a fascinating creation: featuring a uniquely American Argonite movement, and made from dozens of Swiss-made parts, plus a sapphire crystal, assembled by highly trained craftspeople right in Shinola’s dedicated space within Detroit’s College for Creative Studies, it provides Swiss quality and luxury at the slightly lower price point of around $650, with the added value of “Made in America” pride. Each watch is individually stamped and numbered, too, and has a lifetime warranty. Design-wise, these pieces expertly meld the retro, the timeless, and the original. The flagship model, the Runwell, is translated into countless permutations, with variations on the case, face, and strap enabling the wearer to choose their own unique look. One of the most arresting versions of the watch incorporates a face made of semi-precious stone: malachite, tiger’s eye, or turquoise, with an elegant coin edge case reminiscent of certain classic Rolex models, and a coordinating leather strap. 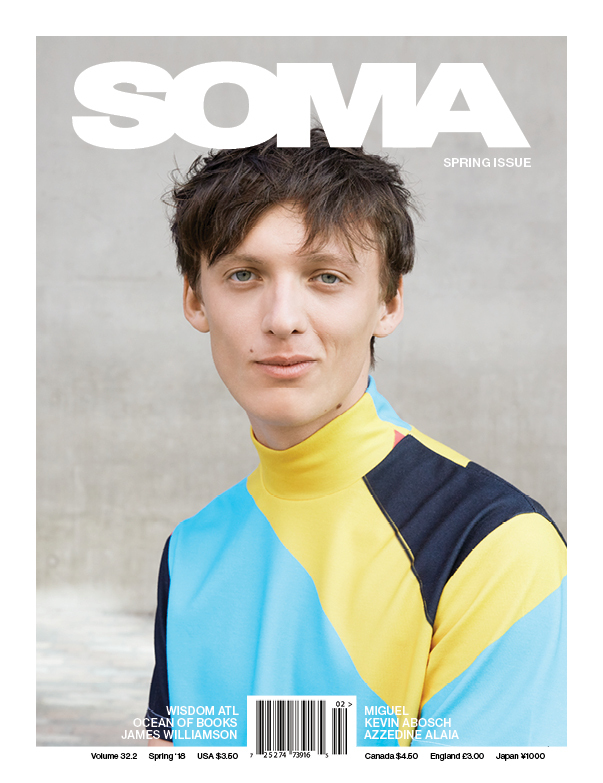 Several lifestyle brands have initially built themselves up through expertly spun storytelling and strategic social media campaigns. What sets Shinola apart, and has allowed them to grow exponentially on a surprisingly small advertising budget, is the utmost quality and unparalleled design of their offerings. Customers are proud to buy and show off their goods, and recommend them to others, and thus become part of Detroit’s rebirth and bright future, and to look sharp while doing it.